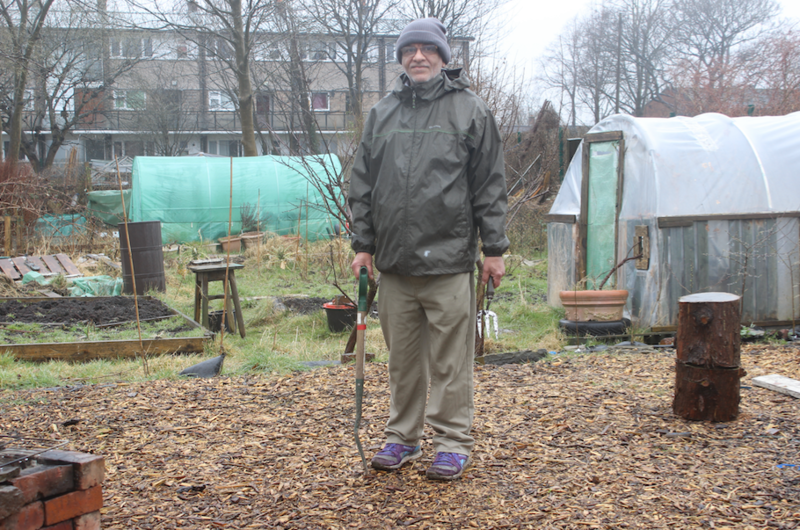 An allotment in Levenshulme is bringing together refugees who have come to the UK in search of a better life. 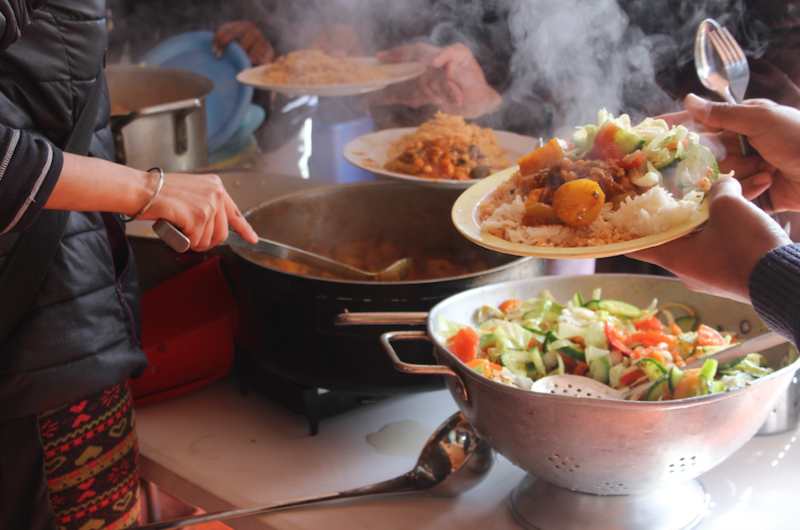 The project was founded eight years ago and in collaboration with Manchester-based charity Revive runs sessions every week for refugees. The project called Growing Together is funded through grants from organisations, as well as through donations from supporters. “I came to England in 2009 after my youngest son was kidnapped back in Pakistan,” said Iftiqar Hussain a 50-year-old father-of-five. “The circumstances led to me to sell my house and car to get him back. Eventually it got too much and I moved here with my five children and my wife. 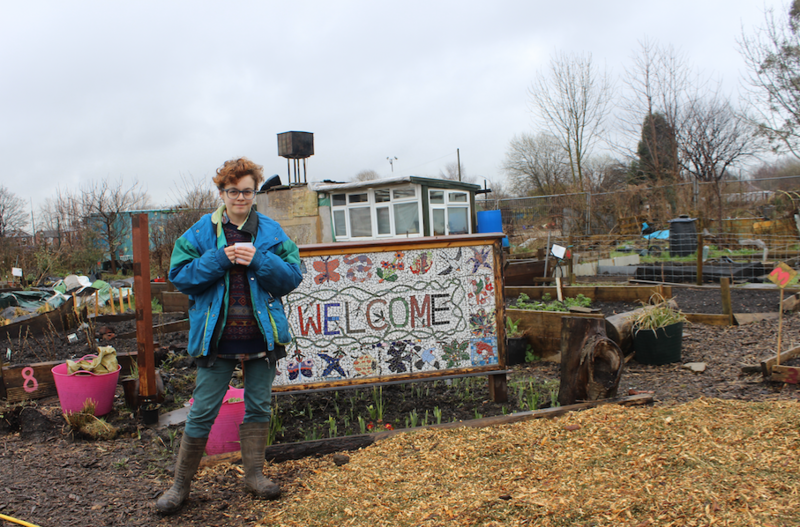 On the allotment asylum seekers grow their own fruits and veg and cook together, which provides a much-neeed release for them in often dire circumstances. Sabah Al-Fadli, 56, from Wythenshawe, moved to the UK from Kuwait six years ago after he had to leave behind his family. “I have been coming to this garden for six years now, I feel happy here to see different people, who speak different languages and we all come together every week and eat together,” he said. “I miss my family, I have six children back in Kuwait they call me every week and we keep in touch. Most of the people here face uncertainty over their future, due to the fact that rules around seeking asylum within the UK have become tougher over recent years. They are given a small weekly allowance of £35-a-week and cannot work and do not have access to healthcare or education. The allotment is a good way for the community to come together and busy themselves to try and forget about their situation momentarily. 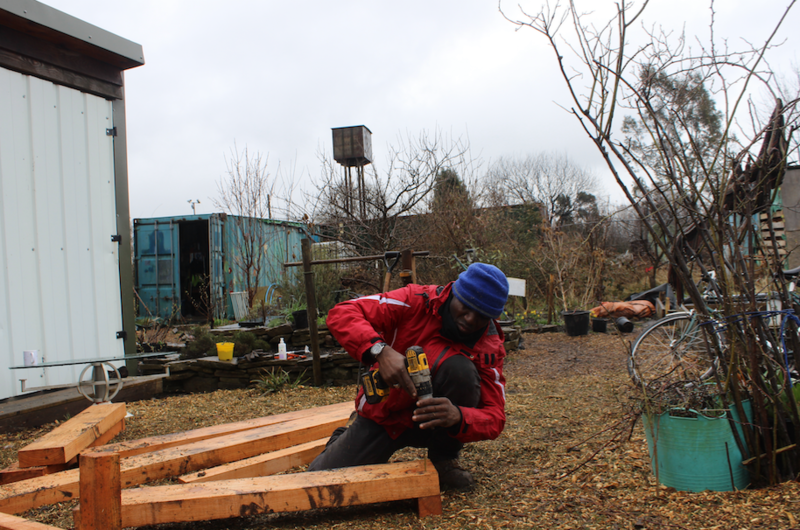 “I think it helps people physically in terms of getting out and being closer to nature, the stresses that people feel quite a lot” said Aneaka Kelley, 33, from Longsight, a volunteer at the allotment. "Being an asylum seeker and refugee is quite difficult people come here and relax and it really helps their mental health a lot. Kouame Kouae, 42, from Moston, moved to the UK from the Ivory Coast due to political reasons three years ago. He enjoys gardening and digging and making beds for planting, and cycles to the allotment every week. “The community is very good and it is nice to meet people from different backgrounds and socialise with people. Because we are in a lot of issues with immigration we forget when we come here and it’s nice to talk to everyone," he said.